Autism Funding and At Home Funding are accepted. 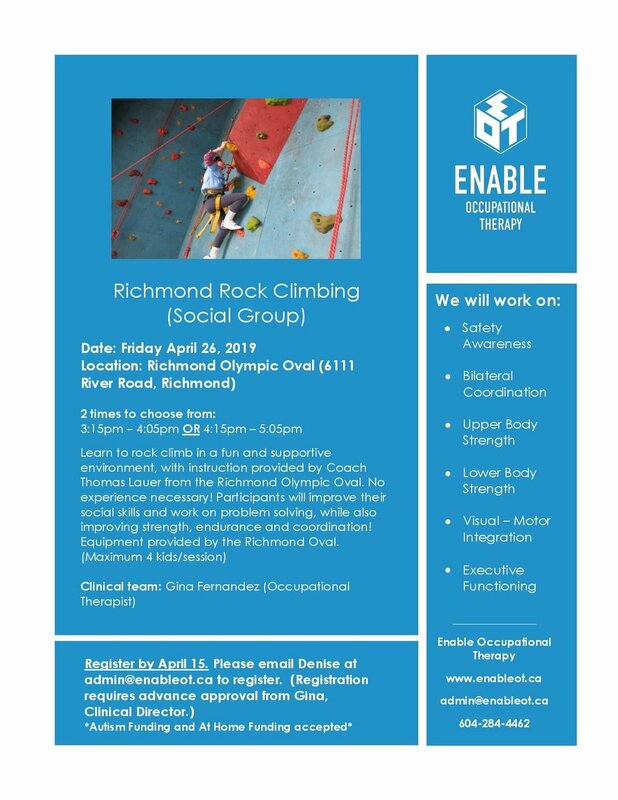 To register, please email Denise at admin@enableot.ca. Please note that registration requires advance approval from Gina, the Clinical Director. Registration closes on Mon, Apr 15th.